Hi everyone! It's been a little quiet here on the ol' blog! I've been on vacation in sunny Huatulco, Mexico! This was the view of sunrise from our room...absolutely fabulous! 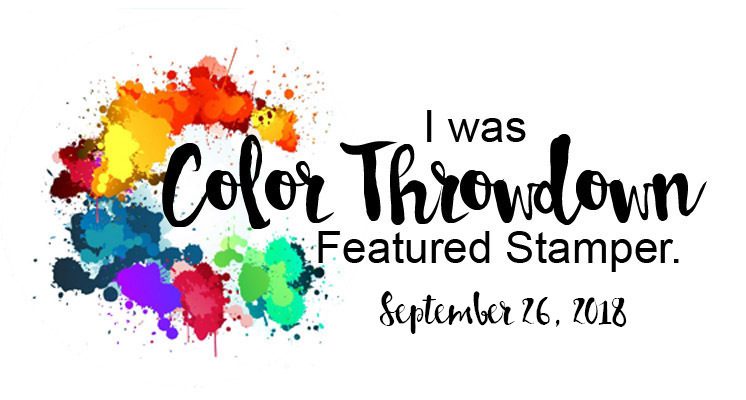 Anyway, since I've been frolicking on the beach, I've been behind on my crafting but I did want to remind you that the current Time Out challenge, Rock Around the Clock, is still going on! You can find it here. Hi everyone! 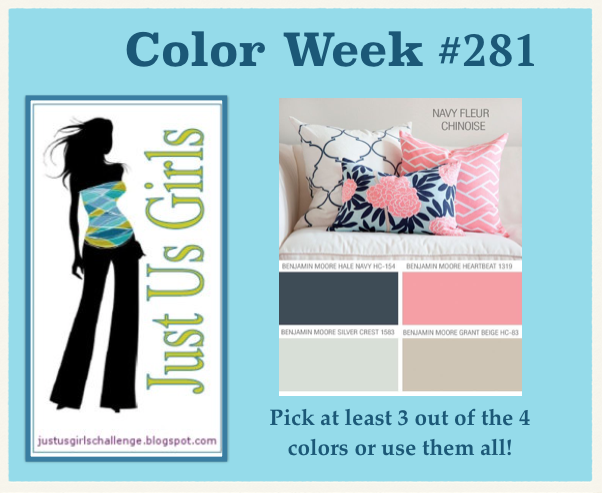 I'm the hostess over at Just Us Girls this week, and it's Color Week! 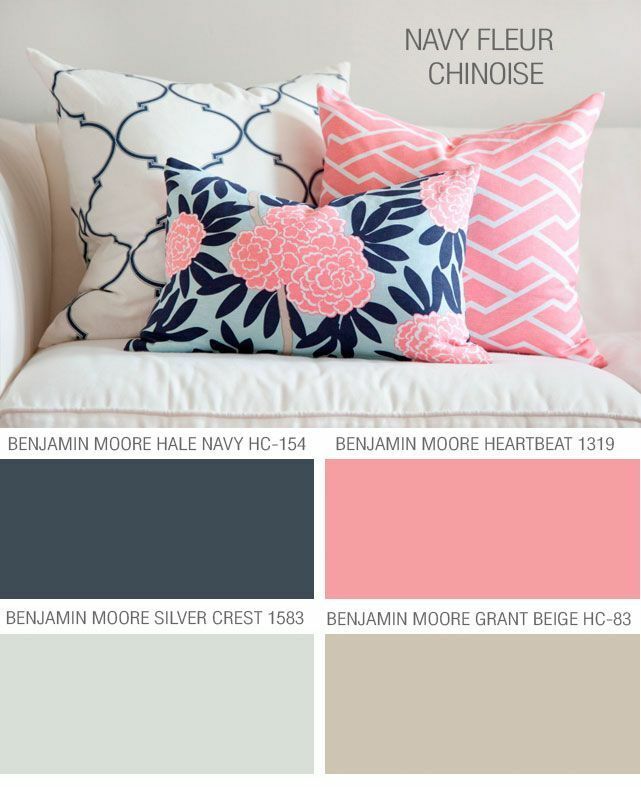 I've chosen a fun color palette that I hope you'll enjoy too! Here's a close up of the colors. Here's what I came up with. For the beige, I chose to use kraft card stock. Then I took inspiration from that pillow on the left. I embossed the navy card stock with Versamark and liquid platinum embossing powder. That powder is just so pretty! The flowers on the one pillow reminded me of this dahlia image, so I stamped it in regal rose and navy. I added some silver pearls to the center of the flower. 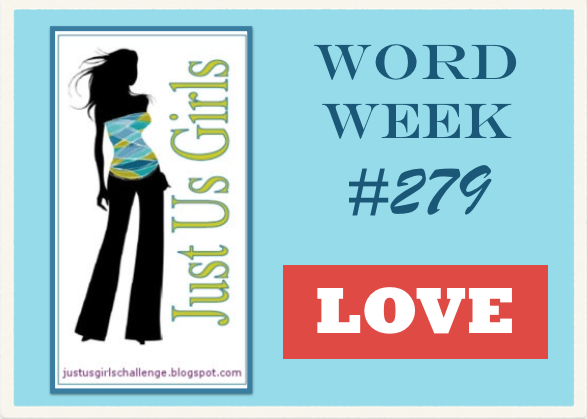 You can see more from the JUGs design team and our guest on these blogs. Hello friends! 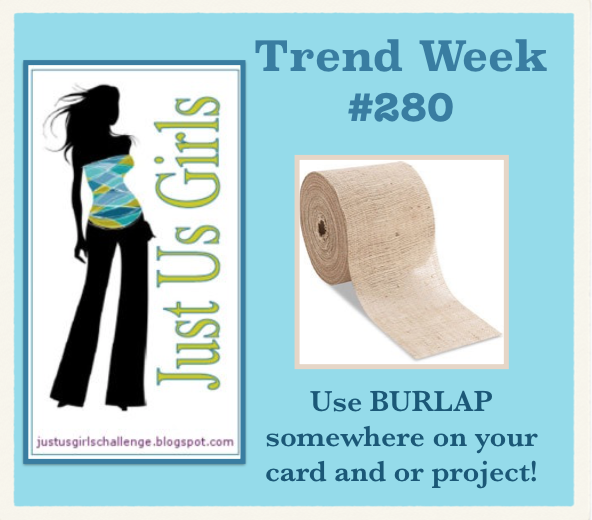 It's Trend Week at Just Us Girls, and Ina has chosen to have us use burlap on our creations! How fun! I made a burlap flower. My friend and DT member, Cheryl, purchased some at Michael's on one of our shopping trips. This is that burlap! 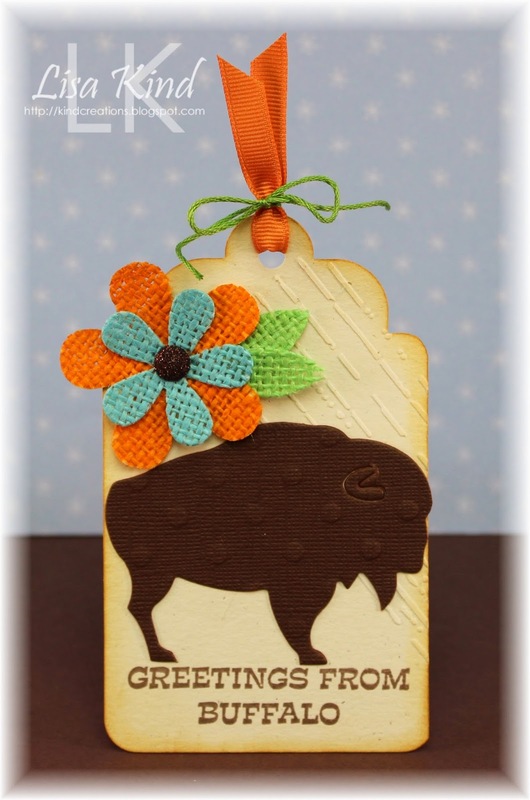 I made a tag with this sentiment and buffalo die cut that I purchased at my LSS, Buffalo Stamps and Stuff. I used a new stencil I got there too from Memory Box with some texture paste. I used this tag from the Tag You're It! challenge as my inspiration. That buffalo was sitting on my table and I just thought it was a good fit! You can see more from our design team and guest on these blogs. 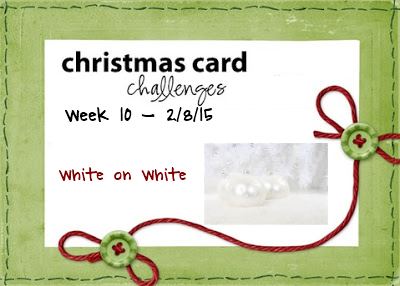 This week's challenge over at Christmas Card Challenge blog is white on white. In all the years I've been stamping, I don't think I've ever done a completely white card. Always a first time for everything! 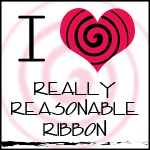 You can see more beautiful cards on these blogs. Easy-peasy! 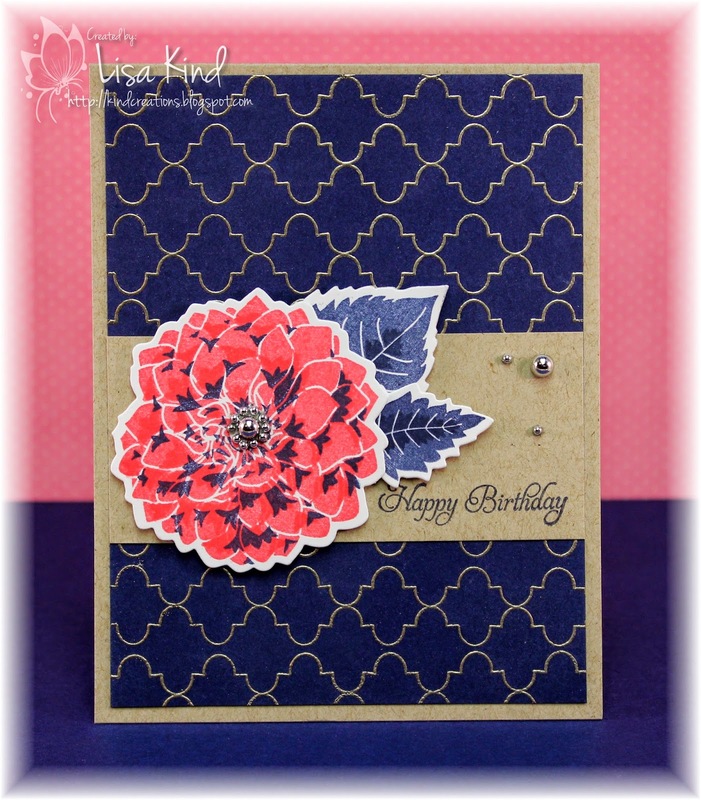 I got this My Favorite Things set from my LSS (Buffalo Stamps and Stuff) a few weeks ago and it was perfect for what I needed to create for this challenge. I also found this washi tape in my collection and matched up the inks to the hearts on it. I doubled up the tape to make a thicker border. The baker's twine is covering up the seam. I like how the balloon strings are still visible through the washi. All the hearts have Wink of Stella shimmer on them, so they are really shimmery in real life. Sequins just seem to always add that special something, don't they? 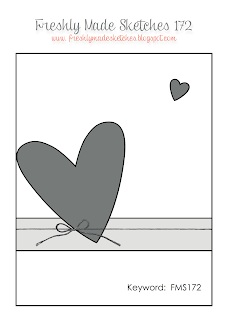 I used this sketch from Freshly Made Sketches for my layout. 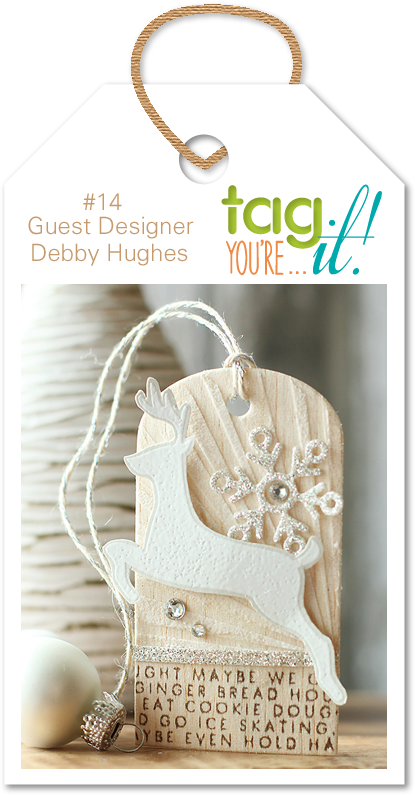 You can see more from the DT and our new Guest Designer on these blogs. Hi everyone! 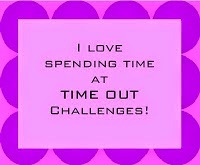 We have a new challenge going on over on the Time Out blog. I loved her layout and the tag...I LOVE tags!! 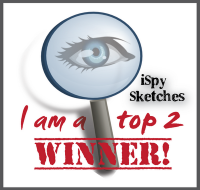 I just took the Clean & Simple 4 class over at Online Card Classes last week and the background I created was one they taught. I've seen this done before, but never tried it. When I saw the inspiration card, I thought it would be a great way to put my twist on the background. I also added some double-sided tape and glitter on the horizontal stripe. The dark flowers were white before I added some Picked Raspberry ink directly to it. The rest is pretty self-explanatory. I needed a sympathy card for some good friends whose mom just passed on. I love this sentiment. We have a guest for this challenge....Sarah! 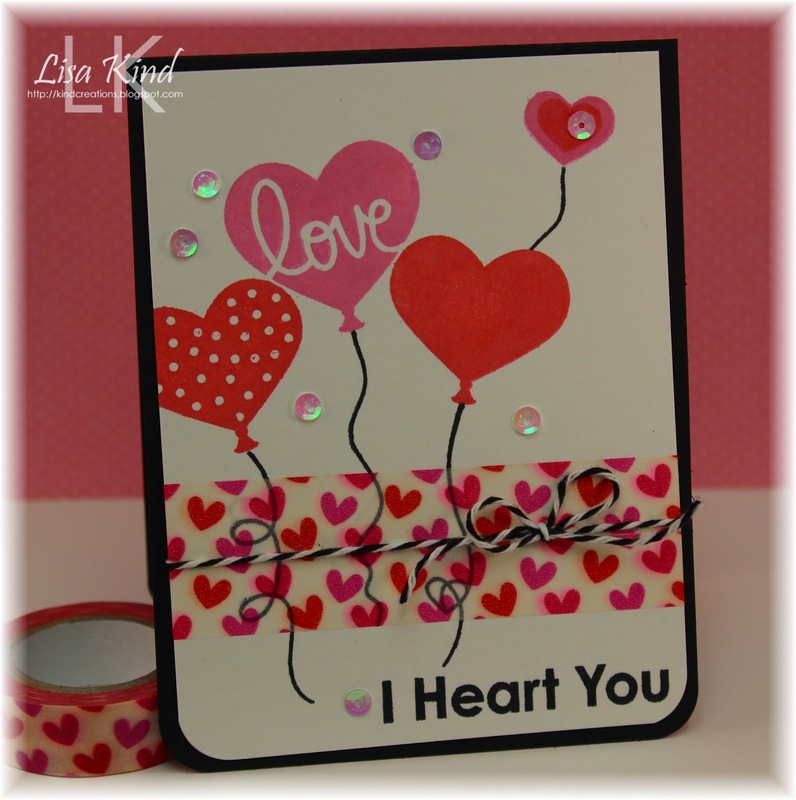 Stop by the Time Out blog to see her card and the rest of the DT. Some really pretty cards this week!